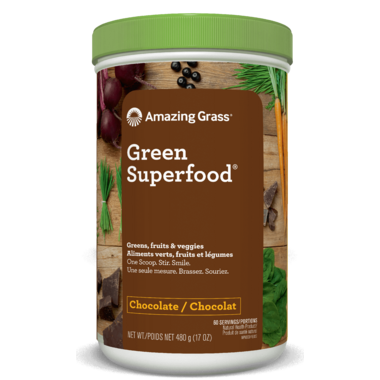 Amazing Grass Chocolate Green SuperFood is a delicious chocolate drink powder to help you achieve your 5 to 9 daily servings of fruits and vegetables. It mixes so easily with water or your favourite milk beverage that you'll wonder how essential green nutrition could taste this good! 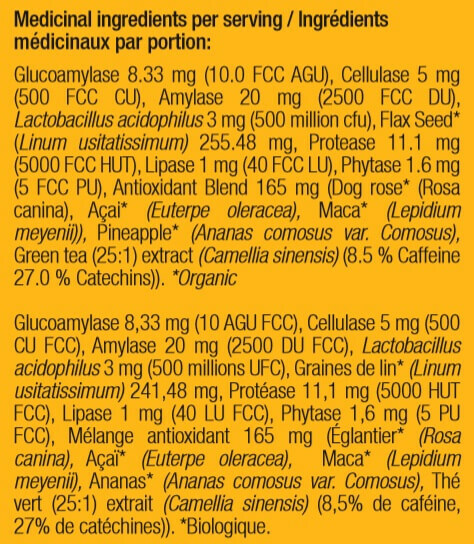 The 240 g (8.5 oz) bottle has 30 servings and a convenient scoop. 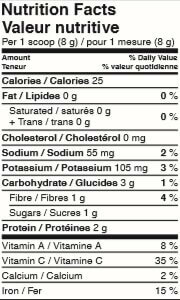 Serving size: one scoop, (8 g). Recommend 1-3 servings daily. Love it, have been buying it for a very long time now religiously- the chocolate is the best tasting by far, I can drink it with just water and tastes great. The other flavours are okay too but this one is the best plain. First rime trying these superfoods and I absolutely love it in my smoothies and smoothiebowls! Definitely going to repurchase after. Want to try the other flavours for sure! I made the mistake of mixing my first scoop with water, like I do with other greens supplements, once I started mixing it with almond milk, it taste way better. Each morning I mix Coconut Water, Almond Milk, 1 scoop of the Green Superfoods and 1 scoop of chocolate protein powder. I'm always skeptical about products like this, but I gave it a try about a year ago and I'm hooked! It tastes great, even on its own. As a new mom, it's hard some days to get my daily serving of veggies, so this shake is the perfect way to start my day. 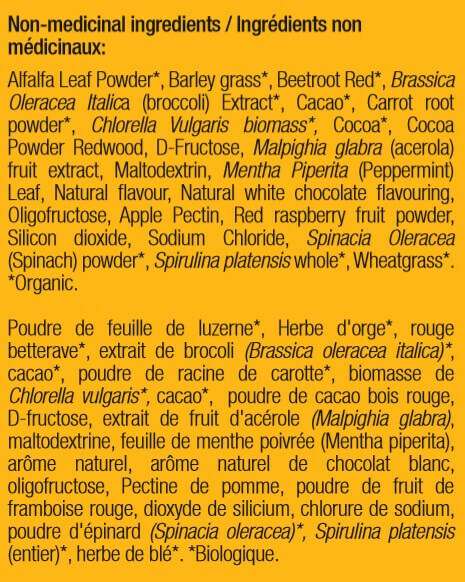 I mix it with coconut or almond milk and some water, great taste! Highly recommend especially since is non GMO and mostly Organic. Tastes extremely good with milk. I don't typically use a full scoop, so it goes a fairly long way.